The heart of the project is composed of four WPs (2 to 5). They will embed diversity within crops, farming systems and in the agricultural food chain for resilience, performance and quality. 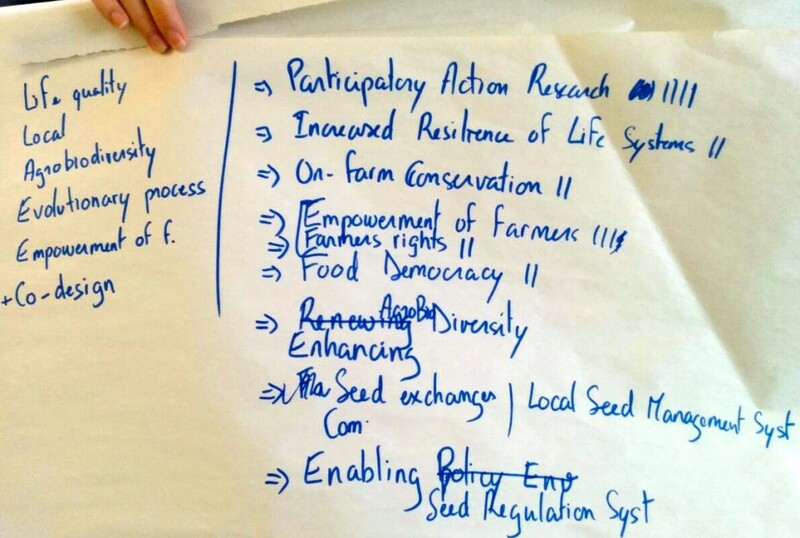 Actions have been formulated to support multi-actor interactions, taking into account the complexity of agricultural and food systems including agronomic, genetic, qualitative, legal and economic aspects. Two WPs (1 and 6) will provide cohesion across the project: WP1 elaborates the conceptual and methodological framework to be used in WPs 2 to 5 and WP6 delivers communication and dissemination tools within and outside the project. These WPs are of equal importance to the core WPs, and together they enable DIVERSIFOOD to connect networks within and outside the project, and to deal with complexity at the scientific level and sociological level with multi-actor, transdisciplinary approaches. DIVERSIFOOD also includes a specific workpackage dedicated to project management, led by INRA and supported by INRA Transfert. Find out more about the project vision, mission and partners. To support our approach, which considers all the steps and types of technical/scientific developments required to introduce diversity in agriculture, DIVERSIFOOD will use relevant case studies covering most agro-climatic zones (France, Spain, Italy, Switzerland, Austria, Hungary, Portugal, the Netherlands, Norway, the UK, Cyprus and Finland) and socio-economic conditions in Europe. To achieve this, DIVERSIFOOD will make use of additional experience, which is partly funded by partners or regional projects.